The Cleveland Browns have hired Todd Haley as their new offensive coordinator, Mike Silver reported on Monday. The news comes just a day after it was reported that Cleveland had “serious interest” in bringing Haley aboard as the new play-caller on offense. Haley most recently called Pittsburgh home, as he ran the offense for the Pittsburgh Steelers under Mike Tomlin and company for six seasons. Haley made the Steelers’ offense one of the most electric in the league, as Pittsburgh was a top-five offense in scoring for the last four campaigns. He worked hand-in-hand with Ben Roethlisberger, Antonio Brown, and Le’Veon Bell to make the offensive side of the football fast and explosive. Together, they achieved their mission. However, a rift between Haley and Roethlisberger that had been stewing for quite some time finally boiled over this season and resulted in the Steelers not retaining Haley. 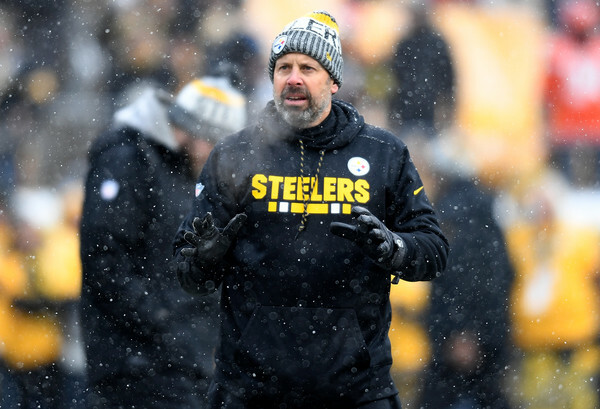 Though the Steelers put up 42 points on the Jacksonville Jaguar in the AFC Divisional Round, many believed the blame should be placed on the questionable play-calling of Haley. As a result, the former Kansas City head coach is not there anymore. Haley has had one head coaching stint and it came with the Chiefs, where he took them to the playoffs in 2010 for the first time since the 2006 season. Though he finished with a 19-26 career mark, Haley showed he had the chops to turn around a team fairly quickly. But leading teams strictly on offense is Haley’s forte and he’s done a great job at it. He’s led the Cowboys, Jets, and Bears to the playoffs as a receivers coach in a stretch from 1999-2006 and took the Arizona Cardinals to the franchise’s first Super Bowl appearance in 2008. He’s been innovative and efficient and that’s why teams are always interested in bringing the now 50-year old onto their coaching staff.